Lower, wider and more aggressive, Corolla's all-new streamlined design speaks for itself. 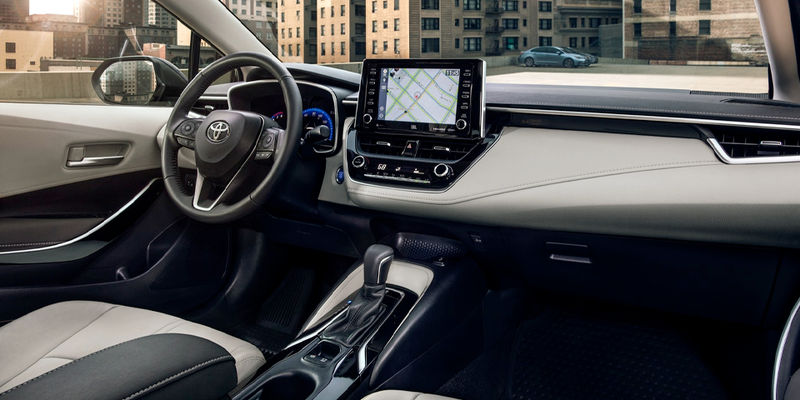 Corolla's premium and open interior isn't just nice to sink into. The controls and seats were positioned in a way that increases visibility for a more exciting driving experience. Step inside and you'll feel the difference. More power. Impressive handling. Enhanced efficiency. Saying Corolla is "fun to drive" is an understatement. You'll find even more reasons to take the long way home with the standard 8-inch touch-screen display and available 800-watt JBL nine-speaker system. 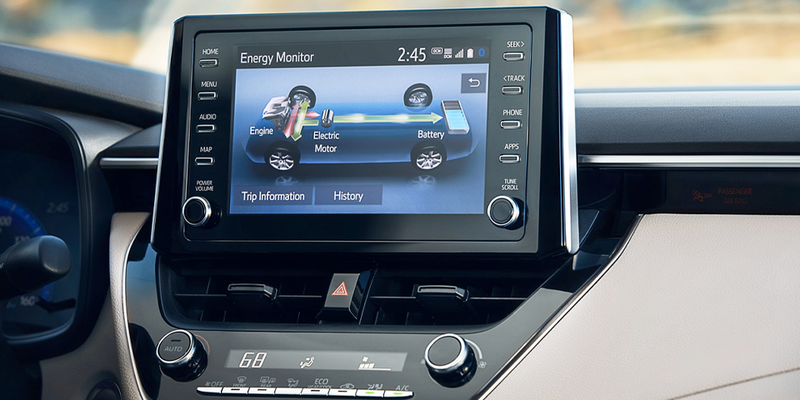 Toyota Safety Sense (TSS) is a bundle of active safety features included on many new Toyota vehicles at no additional cost. These innovative features were designed to help protect you and your passengers from harm. 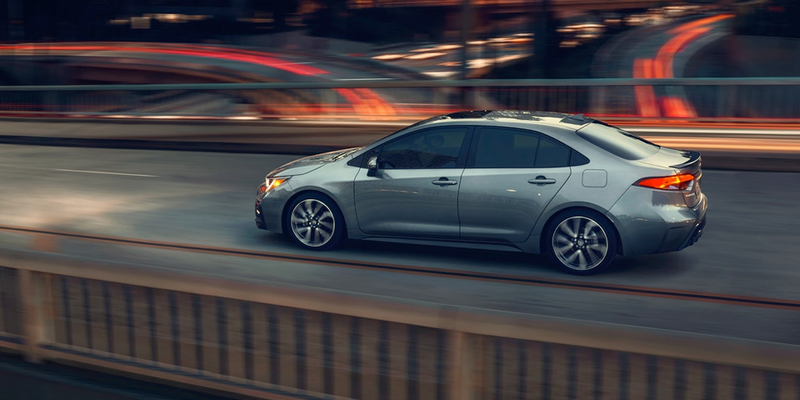 Are you looking to lease or purchase the Toyota Corolla near Greensboro, NC? The search for your new Toyota Corolla stops at Rice Toyota in Greensboro. Our team of Toyota specialists are ready to assist you in finding a new Toyota Sedan. 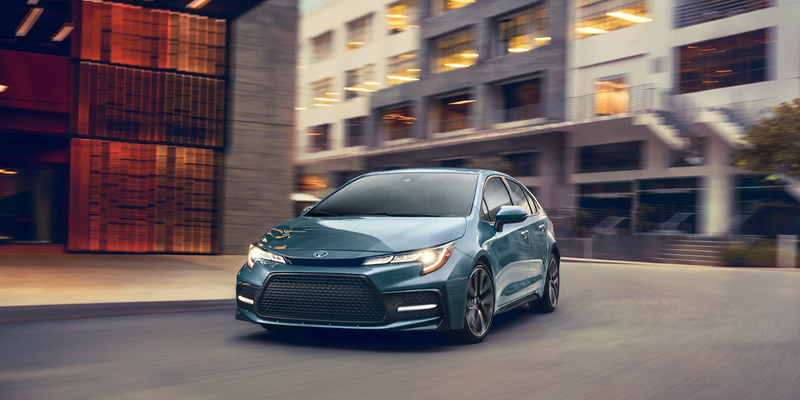 Whether you are interested in leasing or financing, we can help you find the perfect Corolla trim to fit your needs and lifestyle, and narrow down the perfect solution for your buying needs. 2020 Toyota Corolla Toyota Corolla 2020 Explore the 2020 Toyota Corolla at Rice Toyota. From the striking new design to the tech that keeps up with you, the all-new Corolla is greater than ever. Schedule a test drive today.